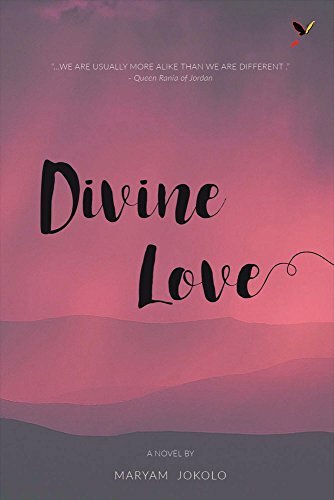 Synopsis: Divine Love is a story which I believe offers some solutions to many of the problems our world faces today, especially some of the problems faced by Muslims. Often people mistake extremist acts for Islamic teachings. This created a bad image for Islam and Muslims around the world which has led to the phobia of the religion and its followers by people outside its fold. And so, whenever any crime is committed, Muslims would be the first suspects to come under scrutiny. This has led to violent attacks and other acts of discrimination against Muslims. This book is an attempt to break those misconceptions and show the world the true image of Islam. The image that has been lost and overshadowed by the actions and misconceptions of a misguided few. In the book, true Islamic teachings have been espoused in the life journey of a young Muslim lady who is actively involved in activities aimed at advancing the cause of humanity. This book also tries to show how Muslims are not less human with good human qualities just because they uphold their religious teachings and values and how Islam has given them a better viewpoint of themselves, their communities and the world as a whole. The protagonist; Khadijah Ibrahim, represented her country in a conference organised by the United Nations to bring all nations of the world under the same roof to collectively find the solutions to the problems the world faces. At the UN, Khadijah met Frank, an atheist searching for the true meaning of life and the purpose of his existence. Through Khadijah's amazing character and the similarities of their interests, Frank fell in love with her and Islam. Even though her religion brought them together and had no objection to them being together, Khadijah and Frank's backgrounds threatened to tear them apart. The book is a chronicle of their quest to surmount the challenges of tradition and Islamophobia.In a time our world is at its worst when humanity walk helter skelter confused with no destination. In a time when wealth is more valuable than human lives, when our world is sick due to human destructive activities and our children are exposed to violence. Can uniting the whole world in one location be the key or can the love story of two people that shared not nationality, not religion nor race but are in every other way alike be the solution? About the Author&colon; Maryam is a UK trained architectural designer based in Nigeria. In the course of her studies in the United Kingdom, she developed a flair for writing and she has just released her first novel titled "Divine love."